If you use a separate passphrase to encrypt your passwords on Chrome, this feature won't apply to you. One of the relatively hidden treasures of yesterday's I/O announcements and Android M preview release was Smart Lock Passwords, which takes credentials you've signed in with on Chrome or for Android apps and automatically signs you in on those platforms in the future. At launch, there are not many app partners, but developers need only use a now-public API to add support. Today, Lollipop users with relatively recent Google Play Services are finding the new feature enabled on their devices as well. The screenshots above are from a Nexus 6 running Android 5.1. 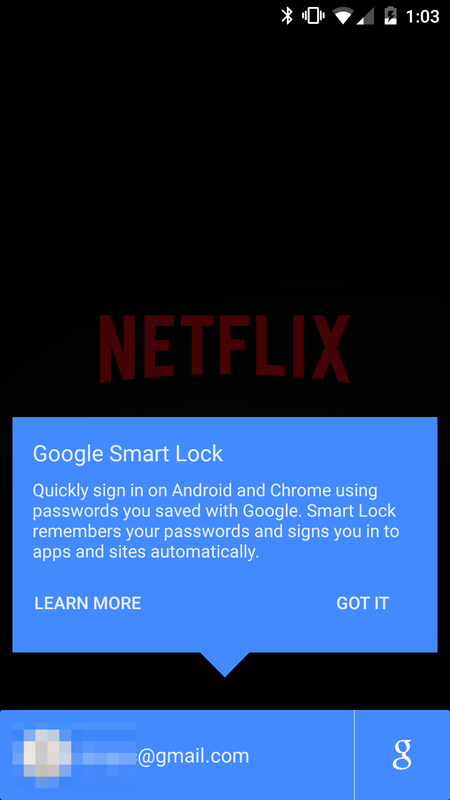 Below you can see my HTC One M7 Google Play Edition (which is also running Android 5.1) doing the automatic sign-in on the Netflix app, meaning this feature works completely on Lollipop. 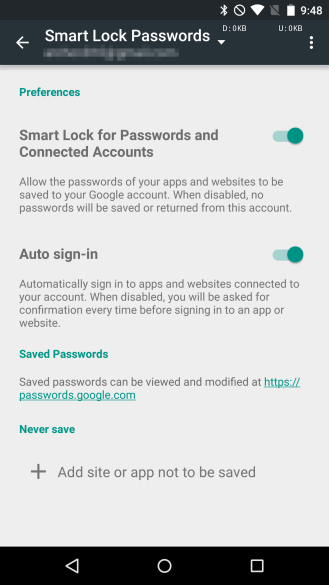 Likewise, the web interface for Smart Lock Passwords is now live at passwords.google.com. You can see how that looks in the featured image for this article. Last night, while Android M would refer you there, it was nothing but a 404 message. 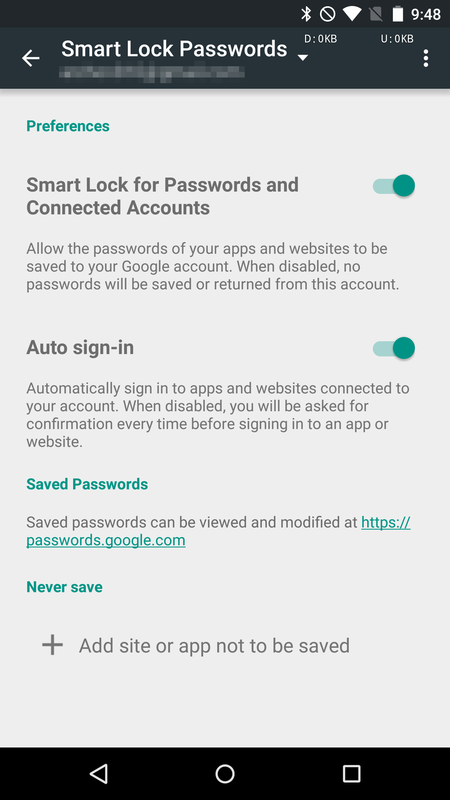 Even if you don't have an up-to-date Android phone, you should be able to access this page and see all the passwords you have stored in Google Chrome. Remember, this is a cross-platform, cross-device feature. Not every updated Android device has Smart Lock Passwords just yet. An Android Police team member's OnePlus One does not have it, for instance, so it isn't getting the full rollout at this point. 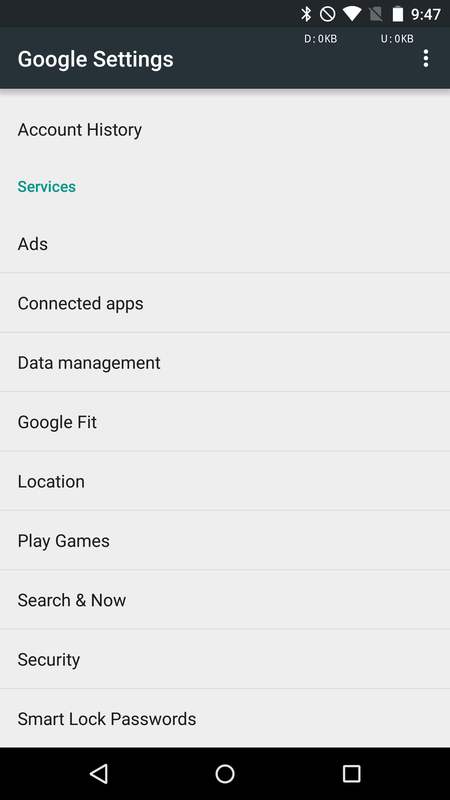 It does seem to be a server-side switch, though, since our devices that did get it were running current versions of Play Services that previously did not have it. 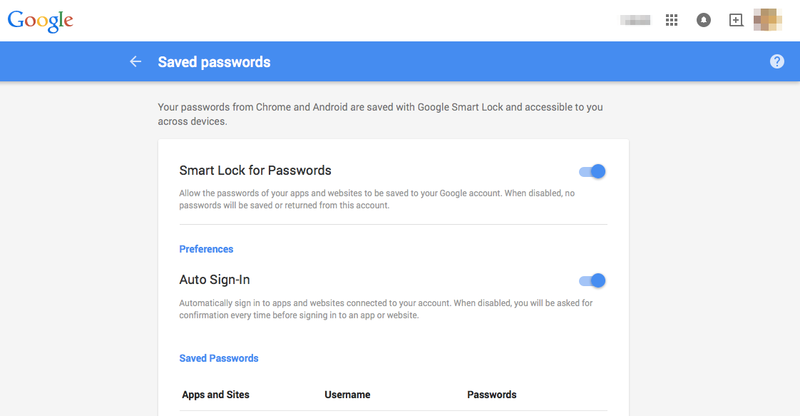 According to many user reports and this support page, Smart Lock for Passwords only works for those who don't use a separate password to encrypt their Chrome passwords. This is an extra layer of security that most don't opt for, so it should affect only a minority of users. The support link will also tell you how to remove it if you are really that eager to use the new features.